This week marked the deadline for many insurers to file their premium rates for Obamacare participation in 2018. The retreat is symptomatic of the current state of haziness in the Obamacare exchanges, with companies struggling to come up with plans and propose premiums while the fate of the law itself is uncertain. The deadline to file rates had been postponed several weeks by the Trump administration to give them more time. But carriers have shied away from Obamacare because of losses, and now many are pointing to indecision in Washington, where Republican senators are working behind closed doors on a bill to repeal and replace the health-care law. Earlier this month, Anthem said that it would pull out of Ohio’s ACA market. Anthem sells coverage under the Blue Cross and Blue Shield brand in 14 states. Analysts had said that the Indianapolis-based company was leaning towards exiting a high percentage of the 144 rating regions in which it currently participates. Insurers have cited doubts about the future of the program, while President Donald Trump has threatened to withhold funds that defray costs for low-income people buying plans through the program. Uncertainty about those subsidies, called cost-sharing reduction payments or CSRs, is making it difficult for insurers to design their Obamacare plans, in many cases forcing them to move rates higher in case the payments aren’t available. That risk, along with the question of whether the administration will enforce Obamacare’s requirement for adults to carry insurance, might help drive insurers to ask for rate increases of 28 percent to 40 percent for next year, according to an analysis by Oliver Wyman Actuarial Consulting. Oscar Insurance Corp., the closely held insurer started by Jared Kushner’s brother, is one of a few companies swimming against the tide. The insurer said Wednesday that it plans to begin selling health plans on the Obamacare marketplace in Tennessee, expand into the Austin market in Texas, and sell individual and small business plans in east Los Angeles County in 2018. The company will also return to the New Jersey market, which it had earlier dropped, according to a blog post by Mario Schlosser, the chief executive officer. Other companies are also getting into new markets while large insurers like Aetna Inc. and Humana Inc. have retreated. Centene Corp., for instance, plans to enter Obamacare markets in Kansas, Missouri and Nevada while expanding in six other states where it already sells plans. Colorado is another bright spot. Nine carriers filed for the individual market, and 13 for the small group market in 2018, according to Marguerite Salazar, the state’s insurance commissioner. 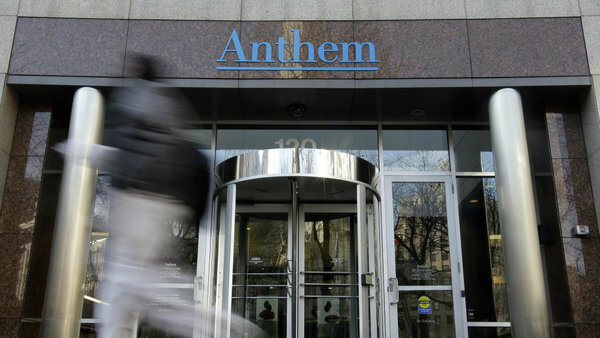 No insurers dropped out of the market — Anthem is staying. Every county in the state has at least one insurance carrier on the exchange, Salazar said.